I just am amazed by what has happened and thought you would like to see what your coaching and protocol has done for our lives. Also I would of NEVER been able to do it without my amazing wife preparing my food for me. I will keep working to get single digits. PS…she did two full pull ups with no help today she is getting stronger… so she is very happy about that. The scale is still about the same ranges from 140-143. Thanks so much for the inspiration and dedication. I have some photos that will shock you guys. Once upon a time I weighed 300lbs when I was 29 years old. Even though I didn’t use HCG at that point, I started it last year at 41 weighing 235lb. 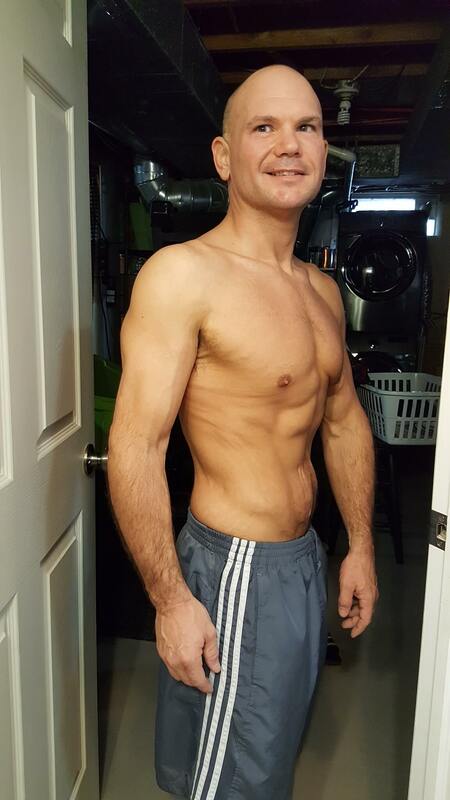 When I completed my last cycle I weighed in at 150lbs. Colin I am on phase 3 and my weight jumped from 151 to 154 but my % of body fat went down from 29 to 27. I think I am getting my period. When is it water weight or fat? I am doing a protein day just in case. Here’s my photo. I really wanted to get to 145 but those last 5lbs I can do slow. Thank you so much for all the love and support. I feel great!!! My HCG Body for Life experience has been a tumultuous one. At first I was all hyped and was losing the weight but then got discourage as I found Myself Allowing old habits to creep in. However getting the emails regularly, from Colin, his videos, and encouraging words got me back on track, and I got SERIOUS about losing weight. So now I am 30 pounds down, and counting and I am so glad I found this program. It has not just helped me lose but, helped me change my life. I have learned better eating habits, learned to be more commited to my own health, and can now share this with others. Remember HCG Body for Life is just that your body, for life, and YOU are responsible for making this experience successful, Colin is simply there to educate, and guide, but you gotta make that commitment. You can do it! If you want to be healthier, and happier, this is the program. Wow, where to I begin…..Let me first start off by telling everyone how wonderful you two are. Not only do you guys provide a great website for the Best and only HCG products needed to accomplish our weight loss goals, but you both are always so willing to help us and encourage us when we need it (I am taking the liberty of speaking for others too, lol) I myself appreciate the fact that when I have questions you guys always respond with helpful answers.. Having stated that,my weight loss goals have been great. I started on this journey the end of May 2011 and have completed 1 round of the HCG and am on my second round. So far I have lost 50 lbs and am more then halfway to reaching my goal of a total of 85 lbs and have gone from a size 16 to a 12 in such a short period of time.. This HCG has been the BEST weight loss product/program I have ever tried and I have tried Everything.. I highly recommend this to everyone. I have introduce this to my sister who has lost 15 lbs (she started it 2 wks ago),dad who lost 45lbs in 45 days,my niece who has lost 38lbs in the last 40 days and a friend from work who lost 20lbs the first 15 days. They have all been very successful with their weight loss goal while being on the HCG.. Today I received my HCG shakes that you are promoting. I am stoked about starting the shakes.. I will keep you updated on this part of the program as well. I will be starting the shakes tomorrow. I went through a clinic for the HCG so they did BMI and body fat readings each time… I am assuming these numbers are correct. When I was 136 lbs prior to HCG, I had a BMI of 24.5 and my body fat percentage was 26%. On my last weigh in, I was 119 lbs, BMI of 19, and body fat was 20%… I have no idea what those numbers are now, but I weighed 133 lbs just now when I weighed- haven’t worked out yet today and I’ve had breakfast. I will check out your open schedule. Looking forward to talking to you, and NOT going through a very expensive clinic the next time I do the HCG. My name is GJ Williams. 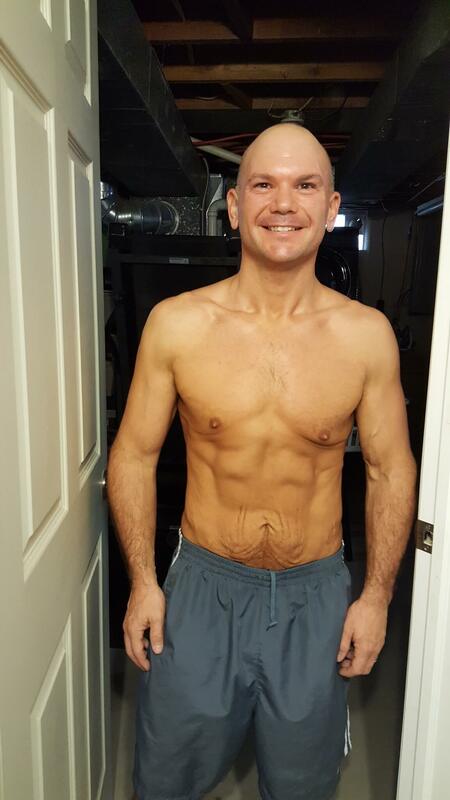 I am 41 years old and just started the HCG protocol program described by Colin on his website. I am on day 7 and have lost 11lbs. It is truly amazing and the weight loss does seem to fly off. However, I would caution folks to watch the cheat meter. I at 3 oz worth of hot dog 2 days ago and didn’t drink hardly any water yesterday and actually gained a 1.5 lbs. since yesterday. So my weight loss total would probably be even better had I not stumbled a coupled days and had a couple diet sodas and fatty meat. All in all it’s been awesome. I’ve had very little hunger pains and for the most part have enjoyed the program. It seems like my 3rd day and 8th day were tough. It could have been because I didn’t hydrate properly or something. I am convinced that if you just do the program correctly and don’t try and out think the program you will have amazing results. Don’t try and think well this is kinda like “Atkins” so I’ll just eat any kind of meat or so forth. Just do the protocol correctly and get great results. I’m down from 267 to 256 in a little over 7 days. Not too bad!!! I’m looking forward to week number 2 and reaching my 15lb goal by day 14. Thank you Colin for your motivational phone calls and help. You are truly a “giver” and there are very few people in this world who like to bless rather than just receive. I am going to tell more folks in my church and family about this program. I was one step away from possibly considering “band” surgery like my older brother, too. So many folks in my family are obese and over weight. Heck, most of the folks in Louisiana are over weight. It’s what we do in Louisiana we eat. I’m going to stick with this program and go for my goal of 40 days on the HCG program. God bless and keep the faith and the fight up against obesity. Thank you for being a positive force in this epidemic in our nation. Shalom. As you have helped me I pleased to help you with my testimonial. 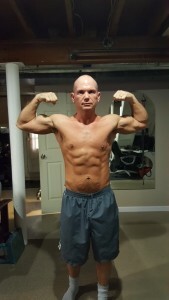 I was struggling at a weight of 235lbs after suffering a double hernia. I was anxious for quicker than traditional results with traditional methods. 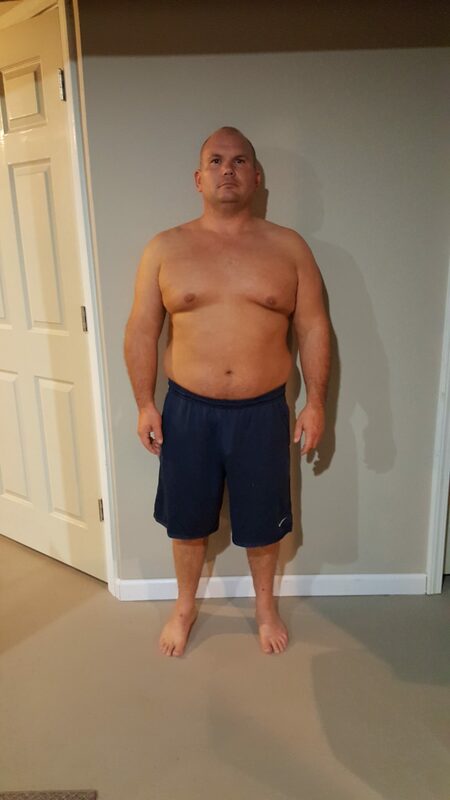 I talked with a fellow at work who had lost a lot of weight in a short time recently and asked him for his story which happened to include the use of HCG. I was unfamiliar with HCG and started to do my homework online including the reading of DR. Simeons protocol. My research led me to many sights however the one out the many that caught my eye and peaked my interest was none other than Colin Watsons. Colin’s enthusiasm, similar age, results and easy access were among the many reasons I made Colins sight my HCG home. I now call it my one stop shop for everything HCG. Why go anywhere else? Wether it is listening to his radio show or reading one of his e-books purchased on line or buying the necessary supplies needed for the protocol his sight has all the tools needed for success. You can waste your time and look elsewhere but no where will you find everything you need in just one place. And oh yeah did I mention with his help I lost 48 pounds in just 53 days, need I say anything else.